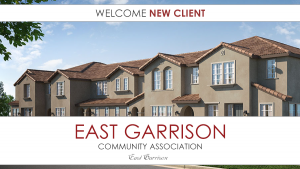 It’s our privilege to welcome East Garrison Community Association to Tinnelly Law Group’s growing family of HOA clients. East Garrison is a master planned community located on the land formerly known as Fort Or, East Garrison. Its 244 acres include distinct neighborhoods of new homes within easy strolling distance of a planned town center. Cordell Hull Park, part of Phase I, features a basketball court, playground and large grass field. Lincoln Park, will offer ball fields, picnic and barbecue areas. An Arts District will repurpose historic buildings into what promises to be a vibrant cultural asset for the entire region. Close by are all of the amenities that make the Monterey Peninsula a world-class destination. Our HOA lawyers and staff look forward to working with East Garrison’s Board and management. 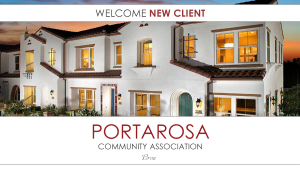 It’s our privilege to welcome Portarosa Community Association to Tinnelly Law Group’s growing family of HOA clients. 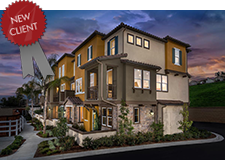 Portarosa by Lennar is a community of beautiful new townhomes set behind private gates conveniently located near the Birch Hills Golf Course in Brea. Innovative new home designs provide open interiors, private courtyards, and indoor-outdoor living space. Expansive amenities including a community pool with spa, outdoor barbecue, and neighborhood park offer family-friendly options for entertainment. Our HOA lawyers and staff look forward to working with Portarosa’s Board and management. 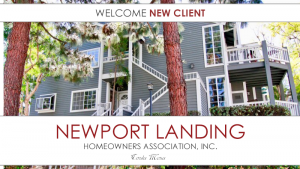 New Client: Newport Landing Homeowners Association, Inc.
It’s our privilege to welcome Newport Landing Homeowners Association, Inc. to Tinnelly Law Group’s growing family of HOA clients. Newport Landing is a Cape Cod inspired condominium community located in the heart of Costa Mesa. Residents are drawn to the quiet neighborhood, lush landscaping and pathways, and the wonderful amenities. Our HOA lawyers and staff look forward to working with Newport Landing’s Board and management. 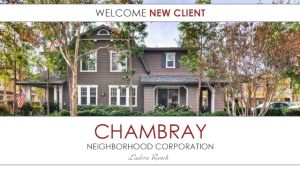 It’s our privilege to welcome Chambray Neighborhood Corporation to Tinnelly Law Group’s growing family of HOA clients. 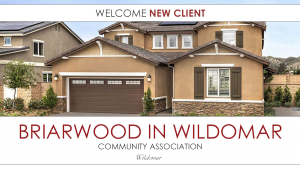 Chambray is a beautiful condominium community located in the desirable Ladera Ranch community. It features 2 story townhome style condominiums surrounded by numerous community parks, pools and recreational amenities. Our HOA lawyers and staff look forward to working with Chambray’s Board and management. We are proud to announce that Altana Homeowners Association has selected Tinnelly Law Group as their association’s legal counsel. 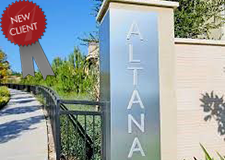 Altana is the first single-family home community in the 230-acre Civita master planned community. Residents enjoy rooftop decks, private courtyards, views of Mission Valley, and easy access to the 14.3 acre Civita Park. 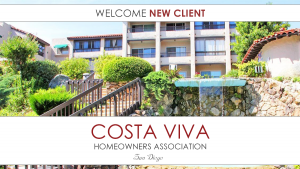 Our HOA attorneys and staff look forward to working with Altana’s Board and management. We are proud to announce that Surfside Homeowners Association No. 1 has selected Tinnelly Law Group as their association’s legal counsel. 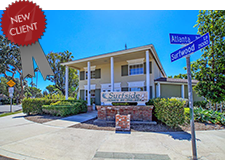 Surfside is an attached single-family home community located in Huntington Beach. Residents enjoy two community pools, two clubhouses, a basketball court, tot lot, barbecue area, and easy access to the beach. Our HOA attorneys and staff look forward to working with Surfside’s Board and management. We are proud to announce that Bressi Ranch Community Association has selected Tinnelly Law Group as their association’s legal counsel. 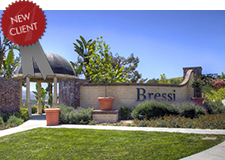 Bressi Ranch is a master planned community located in the City of Carlsbad. Residents enjoy the Village Club, which includes a lap pool, spa, wading pool, BBQ area, outdoor fireplace, fitness room, and playground. Our HOA attorneys and staff look forward to working with Bressi Ranch’s Board and management. We are proud to announce that Jade Tree Owners Association has selected Tinnelly Law Group as their association’s legal counsel. Jade Tree is a brand new condominium community by KB Homes. Located in Chino Hills, Jade Tree is convenient to Vellano Country Club and Western Hills Country Club. Residents enjoy Jade Tree’s community park or exploring the nearly 12,500 acres of nearby Chino Hills State Park. Our HOA attorneys and staff look forward to working with Jade Tree’s Board and management.